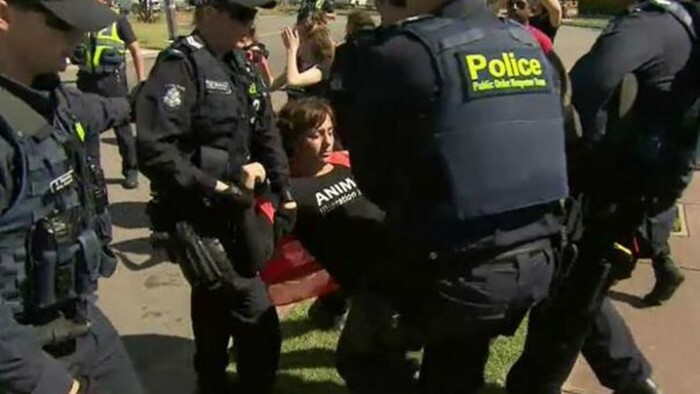 ProtestPolice have clashed with animal rights protesters attempting to stop livestock trucks in Melbourne’s south-east. 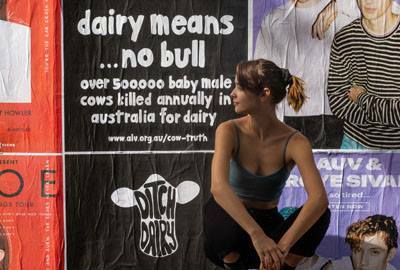 #9NewsPolice have stopped animal activists who attempted to block livestock trucks from entering three Melbourne abattoirs. 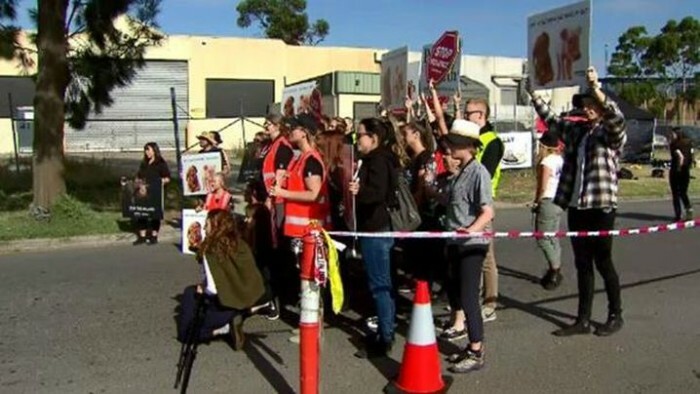 Animal Liberation Victoria said its vigil, which started at 3am, will “peacefully stop transport trucks crammed with animals heading to slaughter” at three slaughterhouses in Laverton, in Melbourne’s southwest. 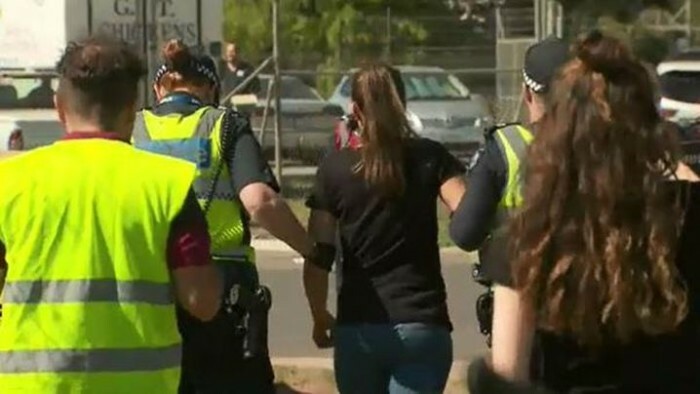 Police have also gathered near the protesters, to monitor the demonstrations, however some protesters said police used “heavy force”. 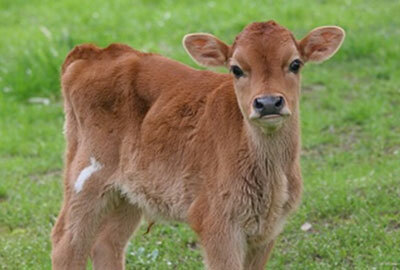 “Their presence is to try and stop us achieving our aim of exposing the suffering of animals… There’s no humane way to kill someone that wants to live,” spokeswoman Kristen Leigh said. 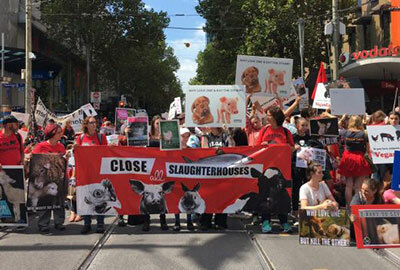 Another group spokesman, James Aspey said protesters were not trying to “disrespect” anyone, but wanted to spread their message that slaughtering animals should be stopped. 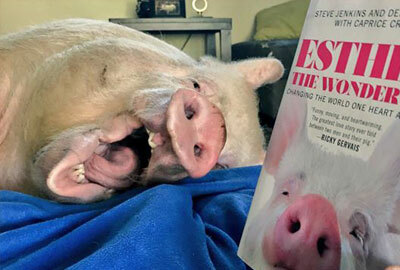 “We just want to show the truth and show people that the animals they eat were alive not long before and they don’t deserve to die to become a snack,” he said. 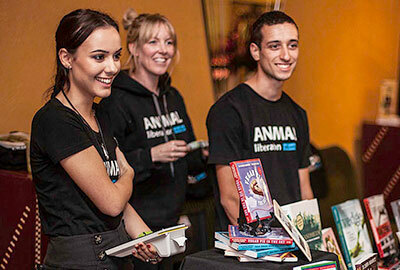 “We’re here to take footage of the animals to see what kind of condition they’re in. 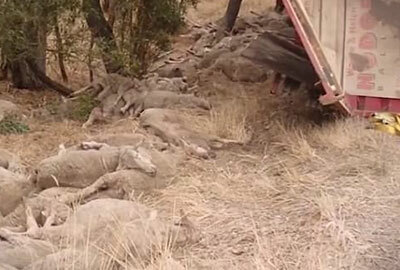 They’re about to get killed and we think that’s wrong. One group of activists at JBS, a processing plant in Brooklyn, were outnumbered by riot police and officers on horseback. 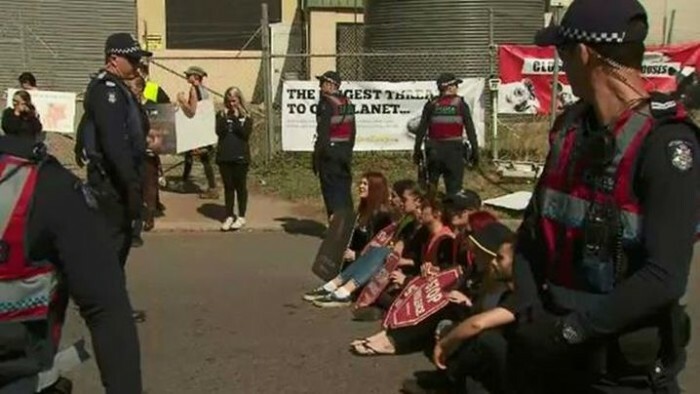 The demonstration is the eight protest at the plant in recent months.